Valet parking available Thursday, Friday & Saturday evenings. Two public lots are located within one block of the restaurant. 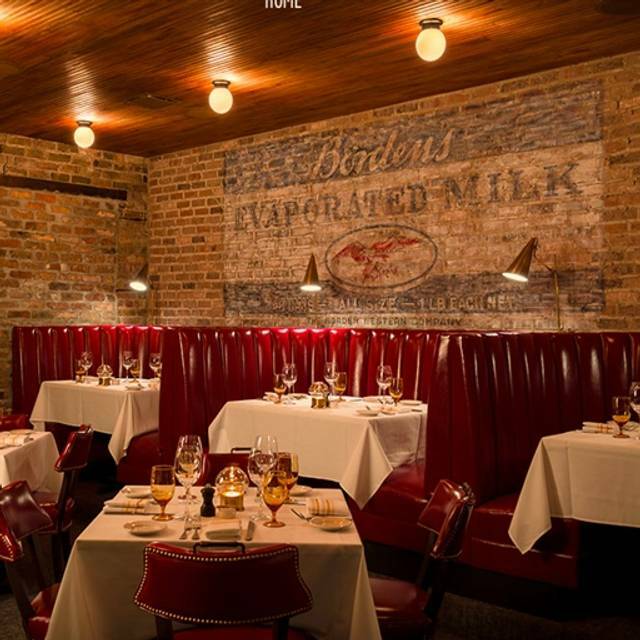 The Barn Steakhouse is a “meat-centric hideaway” housed in a 19th century brick barn hidden away down an alley in the middle of Evanston. 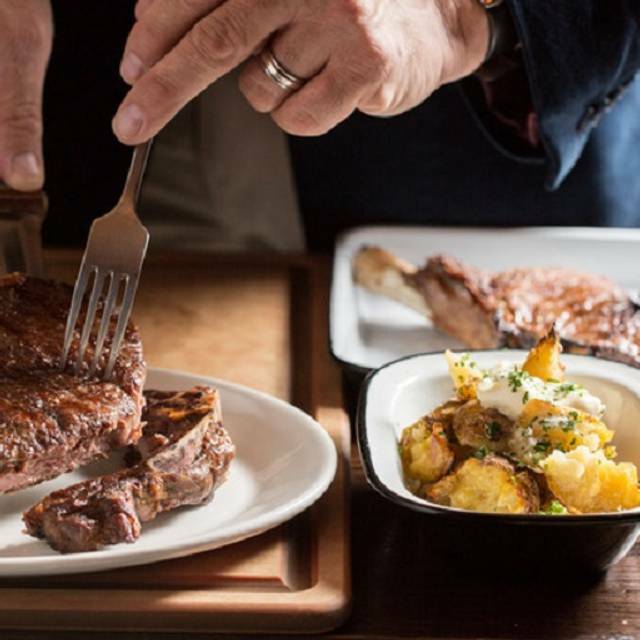 A homage to owner Amy Morton’s legendary father, restaurateur Arnie Morton (Morton’s Steakhouse), the menu boasts the finest quality ingredients available including table-side salad service and prime heritage Angus steaks. 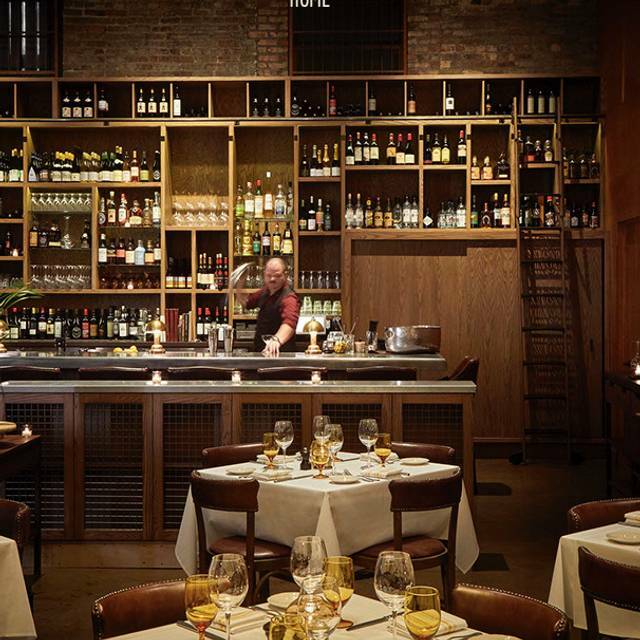 As The Barn's menu is ever-evolving, the exact menu may be different when you dine. 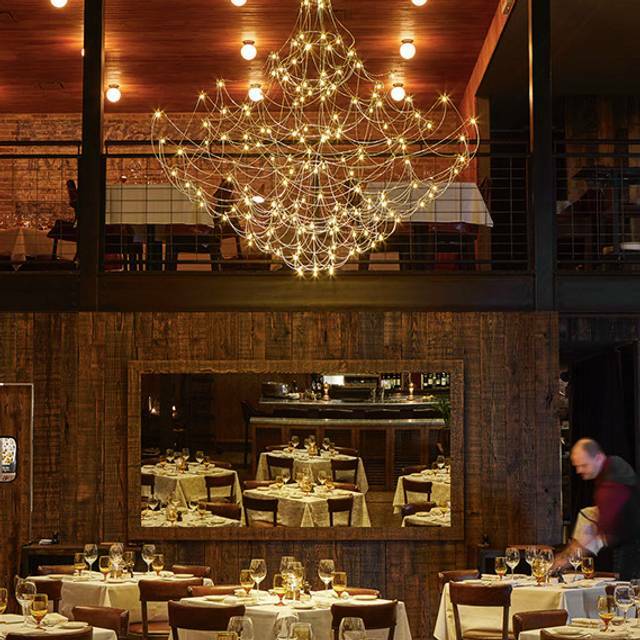 Featured in the Chicago Tribune and Evanston Now, The Barn is situated in a 19th century building, which was once a horse stable. Its entrance is accessible through the back alleyway for a unique experience. The intimate spot is accessible only through the alley and features soaring ceilings. This eatery also provides seating for up to 80 guests as well as outdoor seating on the winter garden. Delicious food and excellent service. Our go to place for special occasions. For the cost of a Downtown Chicago Steakhouse I felt that the Bone in ribeye was the same as I what you could get at Longhorn. The Barn is a fabulous restaurant. The staff is so professional! The food is delicious and the portions are perfect- you leave feeling satisfied, not stuffed. This was a birthday dinner and the staff made it wonderful. I can't wait for the outdoor patio to open. The Barn is a must! The Barn has become our favorite spot in Evanston and absolutely one of the best on the North Shore. Terrific service, wonderfully executed menu and a excellent wine list. Always a fantastic and special experience! (Keep that carrot cake on the menu as long as humanly possible- even our friend who tends to abhor carrot cake (due to the typically irrational amount of cream cheese frosting) LOVED it! Great food, service and ambiance! I can’t wait to go back again. Everyone was friendly and provided great service. Food and drinks were fantastic! What a warm, cozy, but energetic atmosphere! Dinner for 4 - we all had steaks. Filet Mignon was disappointing (ordered rare, got medium rare - which rare steak eaters know the difference!) but Strip and Ribeye were delicious! The marrow butter potatoes are addictive! Side of brussel sprouts was delish and enough for 2, not 4. Too full for dessert! Terrific food, service lovely. Only complaint is noise. Service was excellent, ambiance always comfortable, food delicious! The food was absolutely terrible. The salad was under-dressed and the combination of bacon and anchovies made no sense. The Brussels sprouts were soggy and horribly bitter, and the cheese and balsamic did nothing to disguise that. And my chicken was dense and flavorless, with a rubbery skin, and sat in a repulsive puddle of reduced sherry that tasted like a chemical spill. I know it’s a steakhouse, but how can you ruin such simple dishes unless you’re completely incompetent? Pretty room, decent service, and a wine list where distributors have dumped their undrinkable stuff. Dear Badtaste- I am stunned to read this review. I am also sorry that you had such a terrible experience at The Barn Steakhouse. 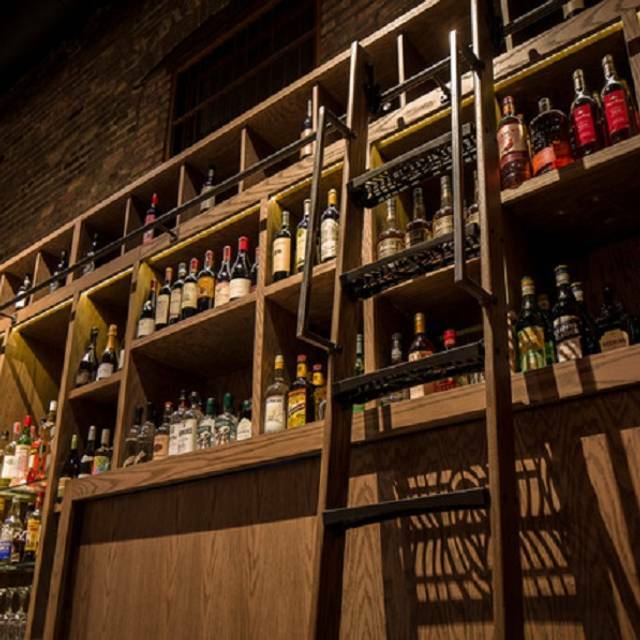 "Flavorless, repulsive, incompetent, w a wine list where distributors have dumped their undrinkable stuff". WOW?! Are you putting a coffee table book together based on your worst dining experiences...or perhaps you are a reviewer who only writes reviews of places you hate- then your screen name would make sense... "badtaste". Probably best not to come back. Excellent restaurant on all fronts. Service superb. Smaller menu but food is excellent - solid, traditional steakhouse menu and presentation but high quality! Pricey, but really enjoyed the food, menu, ambiance. Will definitely return. 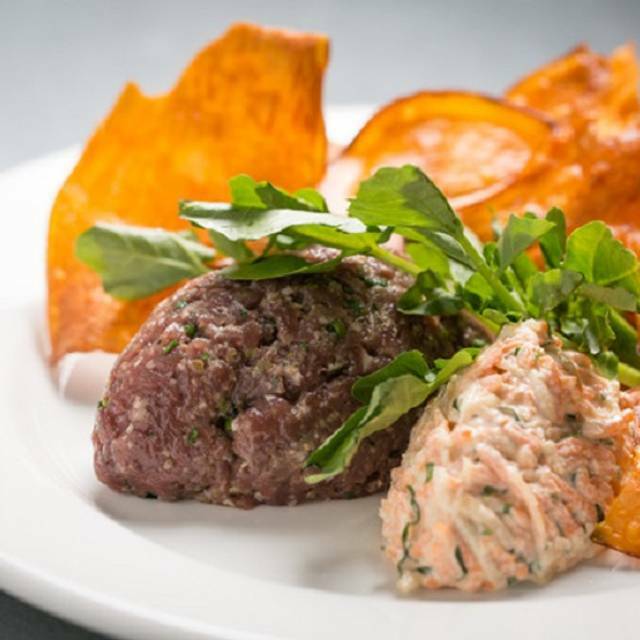 The Barn is the real deal with fantastic food, a great atmosphere and excellent service. 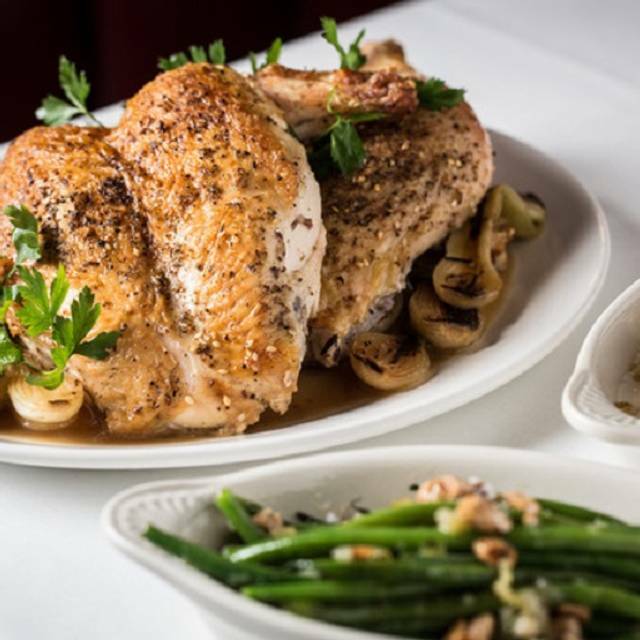 It's as good as any steakhouse in the city and by far the best option on the Northshore. Nothing else comes close. Great service, great food and overall great atmosphere and a gem in Evantson. Highly recommend! The steak was great! Service was a little slow, but the food more than made up for it! Excellent food, very pleasant service, attentive to details—and for those looking for a nice evening out without the kids, no children were there. Sophisticated and fun. We know The Barn is always a sure thing for great food, cocktails and service. We have introduced this restaurant to many of our friends and have always had an excellent experience. I wouldn't hesitate to recommend this place to anyone! Really relaxed and great ambiance and service. Wish that they kept the daily specials but I guess they had their reasons for getting rid of them. Either way it's an easy and elegant way to spend and Evanston evening. Best carrot cake in town! First time to visit The Barn and it was a wonderful experience. Service was great but not intrusive. Food was grand. We had a really enjoyable time to celebrate a birthday. 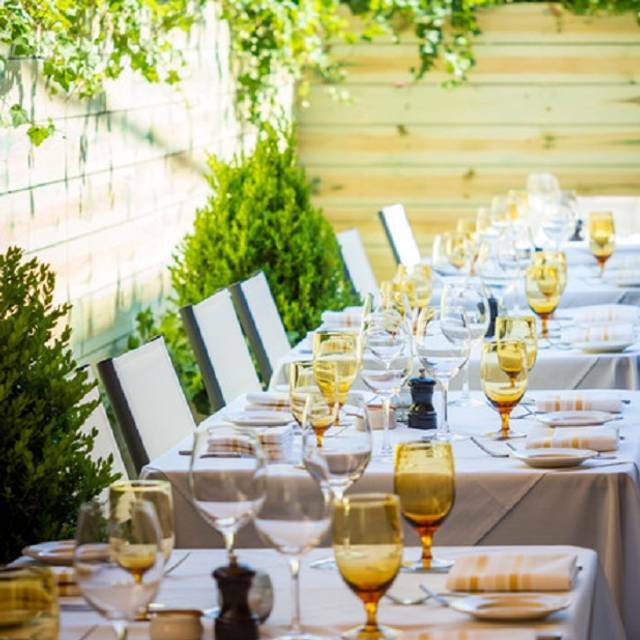 Wonderful ambiance, delicious food and terrific service. I will definitely be back! The service was excellent with perfect recommendations. And the food was as incredible as to have been expected. Would highly recommend to any one celebrating or wanting a really nice dinner out. Fabulous food, service and atmosphere. First time patron, really didnt know what to expect. A bit hard to find but well worth it! Our server Nick was incredibly attentive. The pacing of the courses perfect, and the food prepared on point! Food could use some work. They spent more time on the environment (which is nice) but too loud. I wouldn't go back because the food was just meh and pretty expensive for what you get. 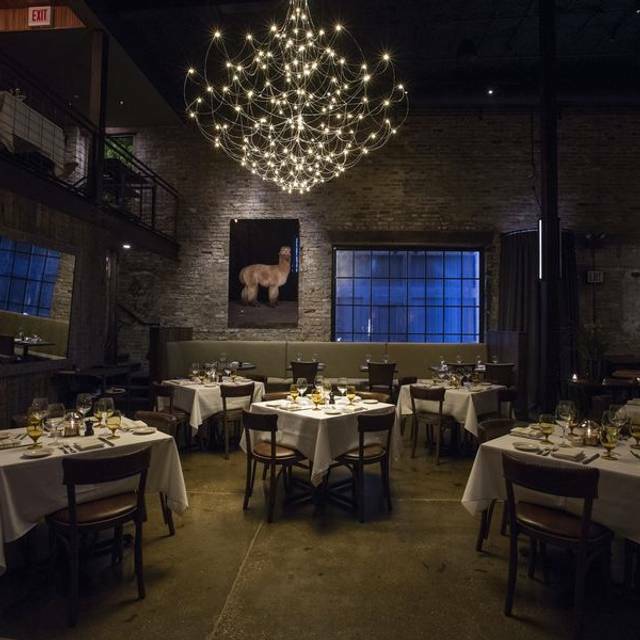 The Barn is a beautiful steak restaurant with wonderful, attentive service. The rolls, cocktails, salads and crab cakes were also very good. However, there were two main problems.. We were at a table for four and could not hear each other unless we bent over and spoke more loudly (and we are not elderly people). The other problem was portion size. Our waiter suggested we split two tomahawk steaks. One of the steaks was plenty big for two but the other was much smaller and left us hungry. Great place! Enjoyed the dinner and ambiance. Food was excellent. Service was great, helpful but not pressured. Lovely place, excellent service, very friendly staff. Food was good to excellent. Excellent chopped salad; branzino and duck were great; za'atar chicken lacked za'atar, was too salty and the skin was not sufficiently crisp. Overall, an enjoyable evening. The prize fixe meal is available until 6:00. Smaller portions are perfect. Had a great steak and French onion soup. Outstanding restaurant. Cozy with great ambiance. My wife had the early bird special (5-6pm) steak, salad and chocolate cake for dessert, and added asparagus. All delicious w/exception of asparagus....cooked well but bland. I had the branzino fish (tender w/no bones) and crab cake appetizer (very tender and tasty). We also had the 8 oz fillet, with potatoes. Fillet was perfectly cooked and very tender. Cheesecake w/cherries jubilee was excellent. Waiter (Nick) was extremely helpful in picking out drinks and knowledge of menu. Very attentive in replacing dirty silverware and plates. One of the best overall dining experiences in past year, and definitely best experience in Evanston. Highly recommend if you’re looking for cozy, quiet, intimate dinner. Price for dinner and two rounds of cocktails was $320 w/tip. Overall a really nice restaurant great people good drinks. The only issue I had was I ordered a really nice steak that wasn’t cooks to my liking and I asked a couple times to re-fire it and still came back the same. No manager came to me and asked what we can do or anything but overall we had a great time and the service was good. It was just OK. Nothing special. Pretty expensive for what it was. They were severely understaffed tonight. The dining room was full and there were only two waiters. What would have been a normal hour meal for our foursome, took 2 1/2 hours. Not sure if the kitchen would have kept up if there had been more wait staff. The restaurant seemed extremely understaffed in the dining room and kitchen. Our waiter was hustling but had several large tables in his station which created long delays. We observed our drink order sitting at the bar. After waiting a while, my guest went over to ask if he could bring the drinks to the table. The courses were slow to come out and, in the case is our salads, were brought at staggered times. For the price, we do not feel we got our money’s worth. Valentine dinner for my wife and I. Wonderful ambiance. Food was outstanding. Staff was very friendly. Would go again. We loved it! Service was perfect. Food was excellent. It's a lovely atmosphere and the steak is very tasty, but the prices are ridiculous. And the chicken was mediocre, as was the mac n cheese. Wonderful atmosphere - not your stuffy steakhouse! Delicious steaks.